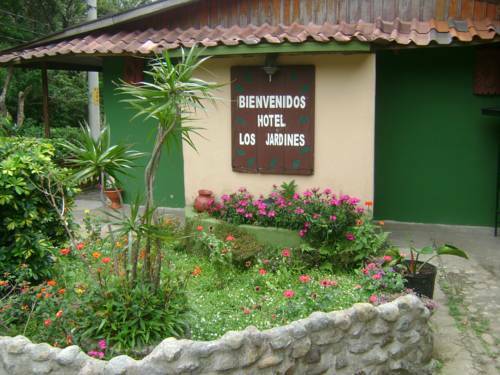 Hotel Los Jardines in Monteverde opened its doors to the public in 2004 and is located 350 meters northeast of the public school in Cerro Plano, just 2 Km from the town of Santa Elena de Monteverde. 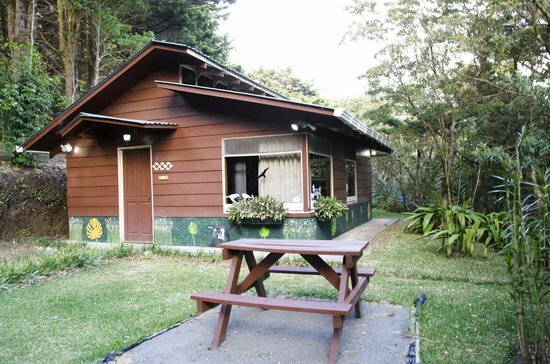 The personalized attention and service provided by this charming small hotel will let you enjoy that much more your time in this unique corner of the world. 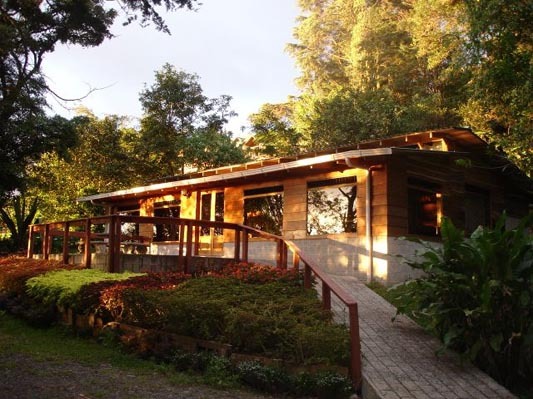 From the patio garden, you can experience great sunsets with views of the Gulf of Nicoya. 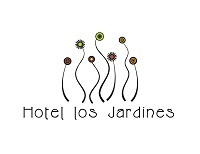 Hotel Los Jardines offers spacious rooms with double beds, in the main building, and the second floor rooms have views of the Gulf of Nicoya where you can enjoy beautiful sunsets from your private balcony. The beautiful cabanas are totally equipped with 3 bedrooms, with 1 double bed and with two single beds each, kitchen area, eating area, TV rooms and balcony. 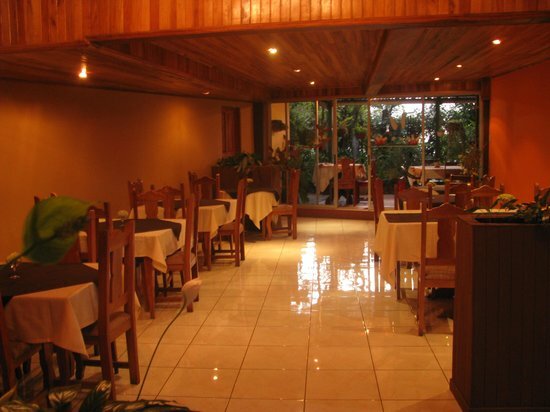 At the restaurant they offer a wide variety of international and local dishes, prepared using natural and fresh ingredients of the zone.